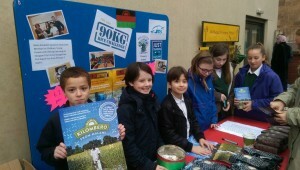 Primary 7 continue with their challenge of selling 1000KG of fairly traded rice from Malawi, supporting smallholder farmers to send their children to secondary school for one year. That’s enough rice to send 11 children to school. So far we have sold a whopping 371KG of rice with your superb support. Watch out for newsletters, texts and twitter updates about upcoming sales. The next one is scheduled to take place in the infant playground at the end of the school day on Thursday 25th February. Please support this fantastic initiative!